More than 35,000 students across Quebec will spend the week protesting unpaid internships. Leaders of the United Committee for Student Labour criticized the Coalition Avenir Quebec government in a statement on Monday, saying Education Minister Jean-Francois Roberge had not lived up to a promise to look into the internship issue. 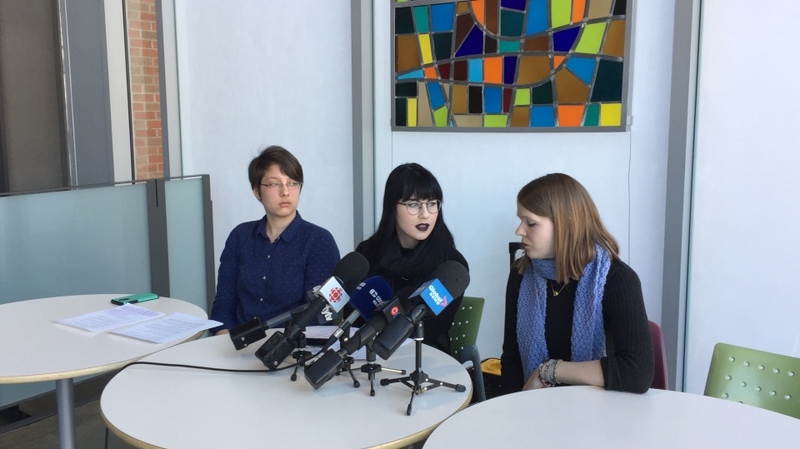 “Minister Roberge… continues to reproduce the inequalities that exist across the education system and society by devaluing the work done in the context of certain internships,” said Concordia journalism student Miriam Lafontaine. The CAQ is due to deliver its first budget on Thursday. The student leaders said they will ramp up pressure until money is set aside in that budget to fund paid internships. During last year’s campaign, the CAQ indicated it was sympathetic to those in unpaid internships and would move to address the issue. Students were promised a meeting with Roberge, but it never happened. Among the students' complaints is that unpaid internships are predominant in fields that historically attracted mostly female students, such as nursing, teaching and social work. "Strike tactics in Quebec have seen a lot of victories from the 60s up until now. We saw it especially in 2005 and 2012 and we believe in continuing that movement Quebec has had for so long and has been so successful is the right way to approach this," Morris told CTV News. "Often, when it comes to strikes, it costs more to the government who give subsidization to the universities. Because most of the funding will come from the government rather than students' tuition, it will cost the government more to fail everyone." Some students work more than 1,000 hours in internships, with no protections or salary. At a time when there is a shortage of teachers and nurses in the province, students are often used as a source of free labour, said Denyse Joseph, vice-president of the Quebec Nurses’ Federation. “The students are doing the work as if they were a nurse or a respiratory therapist. The days we're minus four nurses or three respiratory therapists, well, I'm not saying all the employers, (but) a majority of therapists are using those stagieres to do the job,” she said. CEGEP and university students first walked out of class in November, calling for all internships in Quebec to be paid.